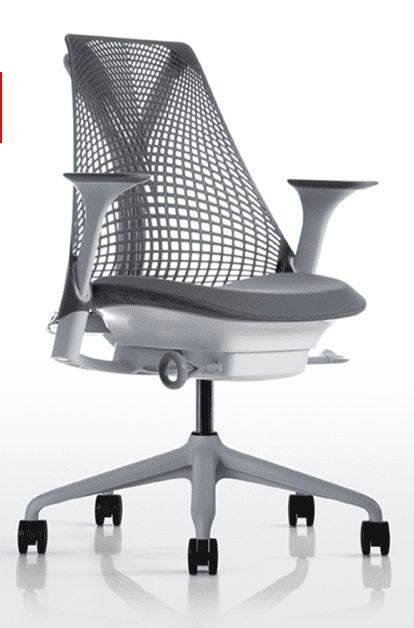 The Herman Miller SAYL task chair won the ‘Best Workplace Seating’ category at the FX International Interior Design Awards, held at the Grosvenor House Hotel in London on Tuesday 29th November 2011. Now in its 13th year, the prestigious awards invite both UK and International design talent from all over the world to enter the very best of interior products and projects, with the event itself attracting over 1500 architects, designers, specifiers and end users. The competition for 2011 included a higher number of International entries from manufacturers and design practices. Beating Casala, KI, Humanscale, Koleksiyon, KOEHL and Orangebox to the prize, the judges praised SAYL’s design for ‘true originality in design innovation’, referencing the products ‘minimal expression to save material to reduce cost, without sacrificing the user experience.’.